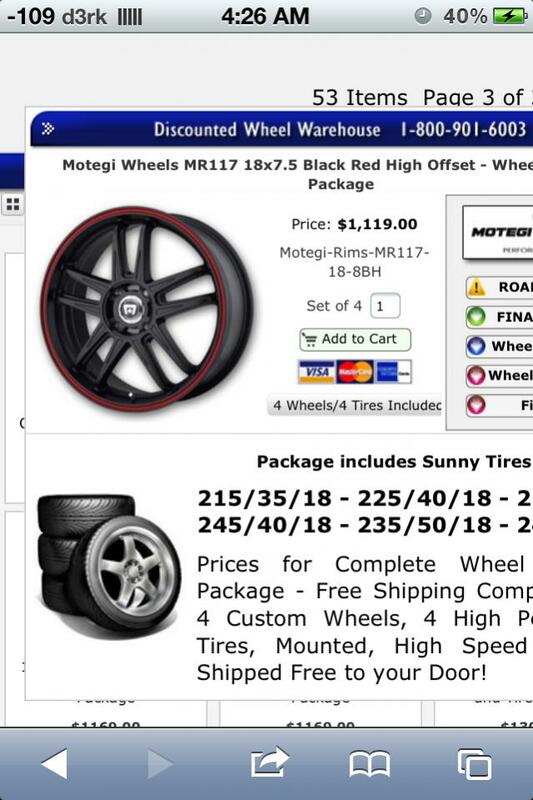 Nope still have em buddy, you can also hit up my email for faster response or to chat about the wheels. My email goes to my phone! Why does the rear passenger have so much more tread than the others? 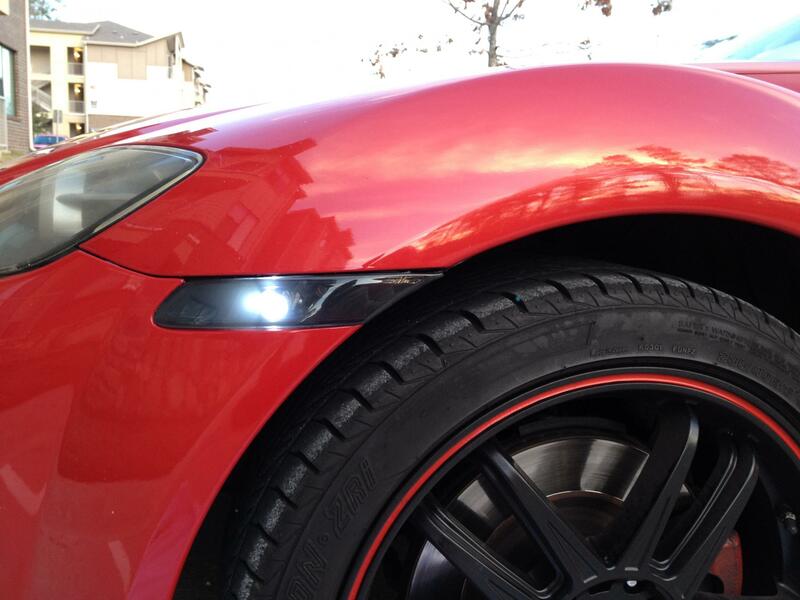 Also could you tell me the type of tires you have on the rims? Hit me up to see in person. All tires have been rotated mounted and balanced. 3 tires have about 65% tread on them and 1 tire about 90% since its less than a month old. 18" rims and I forgot the tire size but I didn't go staggered so I can rotate tires. 3 fuzion Z's and 1 almost new dunlop cause I had a nail in the front passenger. Hey man...not to thread troll...but where did you get your "stealth" side markers? I need a set PRONTO! 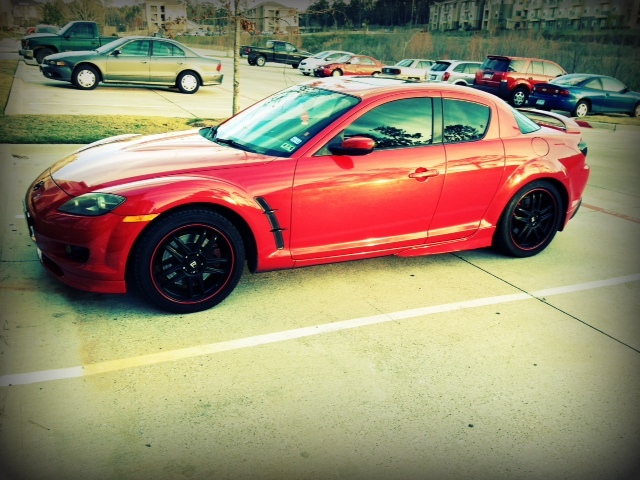 Got them from rotaryfx.com formally rx8strakes. I forgot exact price maybe about 65 for all 4 or less. How do you feel about some OEM mazda6 17s + cash?